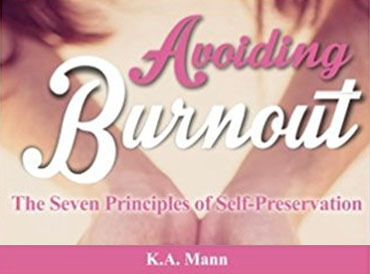 This week I had my book launch for my first book: Avoiding Burnout. Writing a book has been a dream for most of my life and it felt surreal to be standing in front of a group of people talking about my book. It has been a long and difficult path to get to this point. Of course I’m not talking about the writing because that’s the fun part. I’m talking about the experience of burnout and understanding how I got sick and how to recover. I attend many personal growth workshops and I read a lot about happiness and resilience. On many occasions I’ve received the feedback that I struggle to receive. Receiving love, money, help and support. I spent most of my life feeling unsupported. And I stood there on Thursday night looking at all these faces of people who had come to support me and to celebrate the launch of this new book and along with it, my new life and career. I felt overwhelmed with gratitude. It still feels a little like a dream that I’ve actually been allowed (by myself) to pursue this passion and to embark on this new career. Before I got sick I was so hard on myself and I would never have allowed myself to indulge in this creative nonsense. Not when there are bills to pay and responsibilities to fulfill. Life can feel really heavy with thinking like that. I feel so much lighter in the knowledge that following my passion is what I’m supposed to be doing. And in so doing, I provide an example to others to do the same. I also act as a role model for my children, showing them that doing what makes you happy is not only allowed, it is essential. The days leading up to my launch were difficult. We had the largest water outage in our area in history and we had no water supply to our home for several days. The dishes and laundry were piling up which makes me edgy and we were not able to shower or bath. The kids thought it was great fun to swim instead of bathing but I was not comfortable. Coupled with the preparation for the launch, I was feeling stressed. My last blog post was about my eight-year-old daughter and her difficulties at school. She has been desperately unhappy and oppressed in the classroom, her creativity squashed and her spirit dampened. We were hoping she could hang in there for a few weeks before the school year is up, but just before the launch things deteriorated. Worrying about her kept me up at night and I was feeling really fragile on the day of the launch. I felt stressed pushing to get the launch done while worrying about how to best help my child. We have decided to abandon the last two weeks of school which is quite uncharacteristic of our family. We don’t give up, we suffer through. But this experience of burnout has taught me some major lessons and it feeds into our family culture. No longer will we suffer and be bullied. We are fighting for our happiness and we stand by each other. This family has endured a great deal in the past few years with my illness. Now is our time to stand in the sun. I had my moment at the launch, to receive love and support from so many people. I was completely overwhelmed with all the messages before and after the event. It really feels incredible to let yourself receive and I’m going to open myself up to more of it. My children and husband also deserve to experience some joy and fun after several years of struggle and suffering. It makes a family very strong to endure difficulties. On the other side of burnout we hold hands and proceed towards a happy future together.